Randy Newman, as a songwriter, is an impassioned social realist in the same vein as (or school of) Yip Harburg mixed with Lorenz Hart... Someone who recognizes the power of songs, with lyrics that can remind us of injustice, the sting of loss and how unkind people can be... And yet in that salad of cruelty Newman tosses large amounts of love, joy and delicious humor. 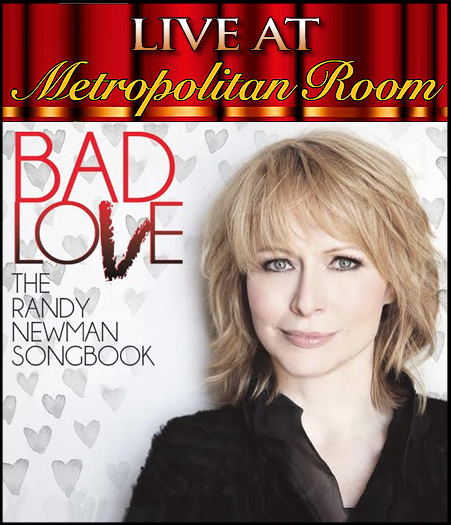 Karen Oberlin, joined by her superb team of Tedd Firth as musical director and pianist and Steve Doyle on bass, explores the many facets of this heartbreaking and hilarious songbook, all at the Metropolitan Room in NYC, opening on July 27 at 7 pm.